On this Episode, number 53, of the “Just Bein’ Honest Podcast”, Functional Nutritionist and Environmental Advocate, Sally Berry gives us the HONEST TRUTH about all of your Gut Health questions. Sally clarifies exactly HOW a Probiotic works and why fueling yourself with clean whole foods is the answer to a better microbiome - yes, there is a key to success in the way your digestive tract ought to work! Sally dives in deep about that unfortunate, yet, common term, “Leaky Gut Syndrome” and how you can heal it once and for all! Let me give you a hint… You CAN change your gut’s bacteria to forever benefit you! Oh and how could we forget to ask her about her two cents on consuming a fresh celery juice. 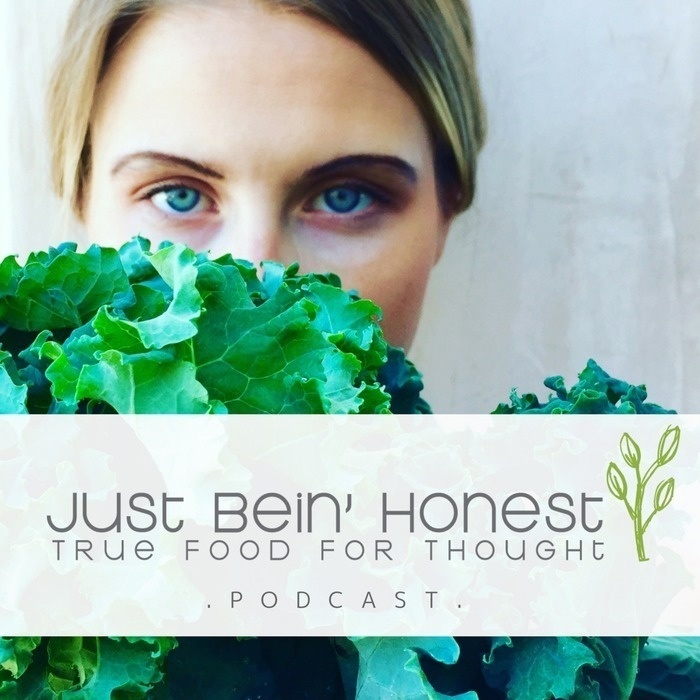 This is a scientifically beneficial episode that will leave you wanting to visit your local farmer’s market pronto. Health is wealth my friends, time to take notes, because you just turned on the “Just Bein’ Honest” Podcast. Branch Basics has created a multi-purpose Concentrate that makes cleaning simple, affordable and sustainable - FINALLY ! ! ! Their products are refillable and are significantly less expensive than many similar single-use products on the market. Here’s how to use Branch Basics: Simply dilute The Concentrate with water, and you’ll be ready to tackle any cleaning job around the house - EVEN your dirty laundry - SERIOUSLY! Happy Cleaning folks! If you’d like to try out this magical and non-toxic Concentrate cleaner by Branch Basics, we’d like to offer you a special “JBH” listener gift of 15% OFF all Starter Kits for a limited time, enter "HONEST15" at checkout - simply click on the link in the show notes and you will be guided in the right direction.